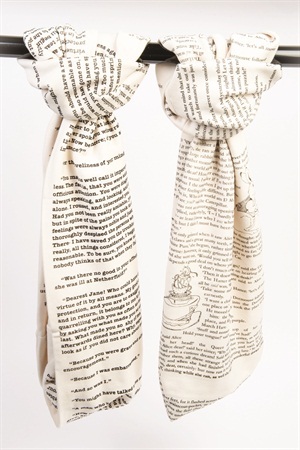 Storiarts’ “Book Scarf” lets everyone know about your great taste in books when you wrap a page of one around your neck. 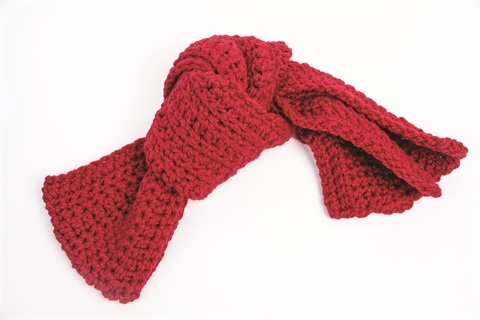 This infinity scarf will keep your customers looking and feeling warm and intelligent. Each scarf is one-of-a-kind. 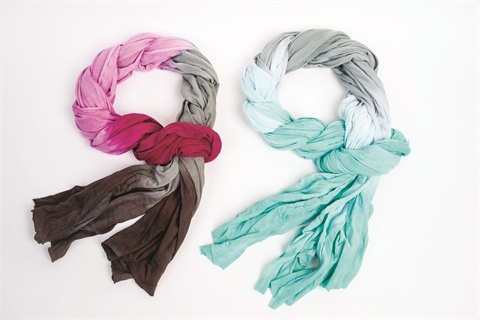 Jennifer Lyn Designs’ ombre scarf uses the newest emerging fabric — bamboo. The dip-dyed fabric is more sustainable (and softer!) than cotton. 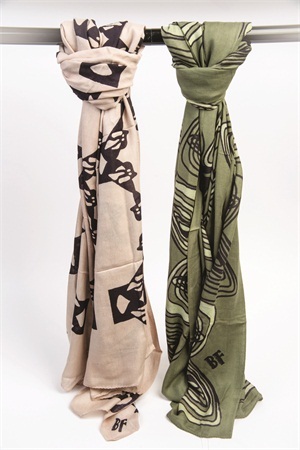 Your clients can look fashionable and be environmentally friendly with these green scarves. 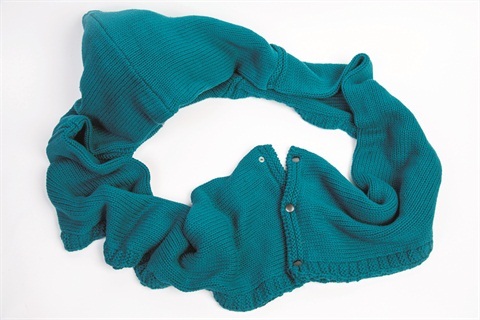 DeRoucheau’s “The Toulon” is the ultimate winter scarf. It’s long enough to wrap around your neck two or three times to create an infinity look. Made from a soft blend of lamb’s wool and acrylic yarn, The Toulon uses 325 yards of yarn, so it’s guaranteed to keep you warm. Phatcatpatch’s Chevron infinity scarves are perfect for any season. Knit with jersey cotton, these scarves are as soft as a favorite T-shirt. With a variety of colors and sizes, a client can buy a matching set for herself and her pooch! Kelly Anne Inc.’s luxury scarves are suited for every type of style. 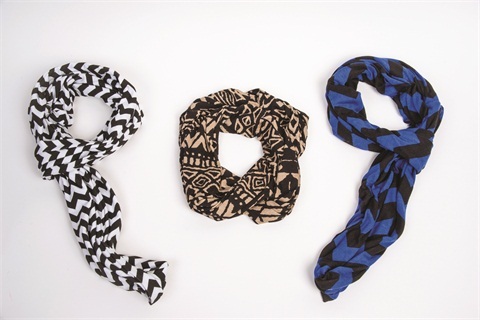 Inspired by New York City’s diverse population, these scarves speak to the versatility and bluster of the city. Your customers can be ready to hit the boardroom or the boulevard in these elegant designs. Brianne Faye’s wearable art and custom scarves are appropriate for the urban dweller, but sophisticated enough for the high society patron. Your clients can enjoy the classic designs and well-crafted pieces from this playful designer.